Por favor selecione para mostrar que leu e entendeu os termos e condições. Você deve aceitar os termos e condições para que possamos confirmar sua reserva. Eu confirmo que li e entendi os termos e condições da reserva de grupo acima. 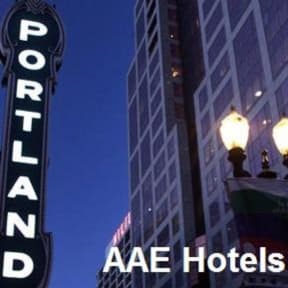 AAE Hostels has 2 locations in Portland. Offering Private Ensuite Rooms at discounted backpacker rates. Save $$ at our location, walk from Amtrack and Greyhound Stations or use the free trams to get around Portland! Summer and Fall discount coupons now available through aae site! Spacious and renovated accommodations featuring large beds, full cable TV, Free linen, Free towels, Free bathroom amenities, Microwave and Fridge. We also offer FREE wifi internet in all rooms and common areas! Now offering mixed dorms!! Look for Discount Coupons available through AAE. Our friendly staff will make you feel like your home and provide you with information on getting around Portland. Ask for maps of the city at checkin! *All dorm guests must be under 30 years of age and have an out of state I.D.